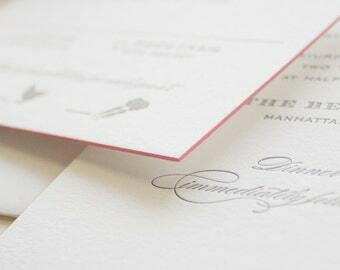 Announcement The wedding invitation you've been searching for is waiting for you! Tired of scrolling endlessly, searching for an invitation that matches the vision in your head? 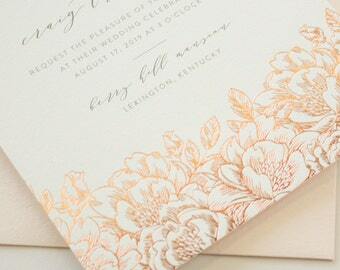 At Banter & Charm, I take a different approach to the custom wedding invitation design process. No more frustration over invitations that are almost what you’re looking for, or wondering how to make someone else’s idea of classic fit your vision. Say goodbye to intimidating custom design processes and struggling to put into words the timeless style you’re envisioning. 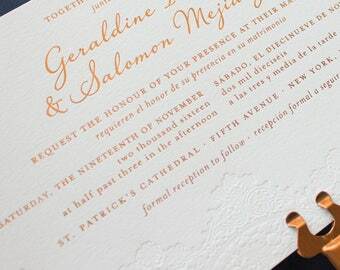 I’m here to help you craft an invitation that is the perfect fit. 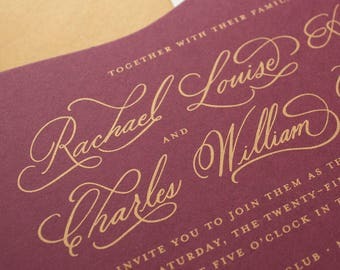 Banter & Charm is a Michigan wedding invitation design studio based in St. Joseph (right along Lake Michigan!) Not local? I serve brides throughout Michigan, in Chicago, the Midwest, and across the US. I create tailor-made wedding stationery for brides that need a simple, classic invitation design with just the right amount of personality. Letterpress wedding invitations with elegant typography and minimal accents are my specialty; timeless designs that will still be in style thirty years from now. 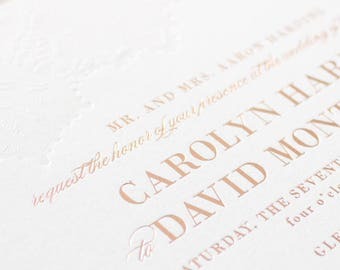 I offer wedding invitations and save the dates with premium options like double thick cotton paper, silk ribbon, wax seals, and custom monograms in luxury print methods like letterpress, foil stamping, and screen printing. Studio hours are Monday-Friday 9am-5pm eastern. 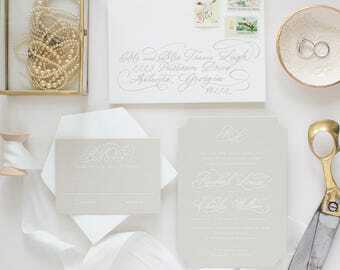 The wedding invitation you've been searching for is waiting for you! 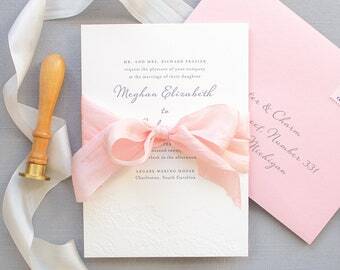 This classic invitation suite features blush pink edge painting and double thick cotton paper. My favorite design from the wedding collection! Easily create a one-of-a-kind invitation with my unique approach to custom design: the Made-to-Measure process. I’m Sarah, and I create custom invitations for brides that need a design with the right amount of personality. The design process is also tailored to suit you. Your level of involvement is completely up to you! 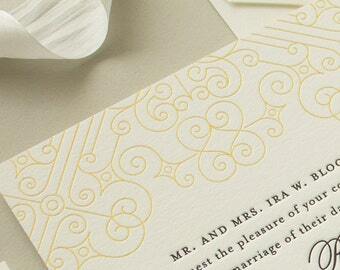 Ordering custom letterpress wedding invitations shouldn't be hard! Are you tired of scrolling endlessly, searching for an invitation that matches the vision in your head? When you order wedding invitations from Banter & Charm, you are receiving one-on-one service from a real person - me (Sarah Brown)! From the initial inquiry to the moment you receive your invitations, I will cheerfully answer any questions, and offer guidance every step of the way. Whether it's concerning your invitation wording, traditional etiquette, or you just don't know where to begin, I'm here for you. 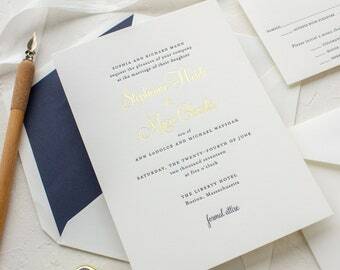 I’m Sarah, and I create custom wedding invitations for brides searching for a simple, classic invitation design. With 10 years of experience, I’ve had the privilege of turning ideas into frame-worthy wedding invitations for hundreds of brides. A family owned fine stationery printer based in the United States. Manufacturer of traditional wood handle stamps. Family owned letterpress printer based in the Midwest.